The goal of this chapter is threefold. First we present a polynomial algorithm for integer programming in fixed dimension. This algorithm is based on elegant ideas such as basis reduction and the flatness theorem. Second we revisit branch-and-cut, the most successful approach in practice for a wide range of applications. In particular we address a number of implementation issues related to the enumerative aspects of branch-and-cut. 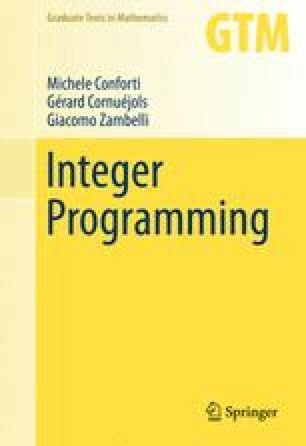 Finally we present an approach for dealing with integer programs that have a high degree of symmetry.